and harmony in life is as necessary as the air we breathe to survive. The Power Of Forgiveness is an incredibly powerful and self liberating principle which, when "consciously" applied, allows a sense of indescribable peace and overall well being to flow and permeate your inner most being resulting in FAR GREATER and more "pleasing" outcomes in your physical world. The importance of implementing this incredible power cannot be understated and can be much more easily understood by developing the awareness and understanding of how our universe operates in it's precise, unwavering and perfectly constructed manner. By developing an awareness and deeper understanding of the immeasurable, unwavering, and immutable power of the governing Laws of Creation, also referred to as Universal Laws , that govern the entire universe, you will become better equipped and empowered to begin effortlessly experiencing and consciously implementing the life transforming power of forgiveness into your day to day life and as a result, begin to personally experience the true sense of freedom and well being derived from it. First of all let's examine the definition of forgiveness so that you might gain a better understanding of what "true forgiveness" really is. A) to give up resentment of, or claim to requital for B): to grant relief from payment of 2) : to cease to feel resentment against (an offender) : PARDON intransitive senses : to grant forgiveness. By developing a basic understanding of what you are creating by "holding resentment", or by failing "to give up your claim to" or "refusal to grant relief of" the offender, you will have the ability to make an educated and conscious choice as to your future actions with respect to forgiveness and the limitless power which is unleashed as a result of choosing to do so. By continually and purposefully exercising your ability to forgive, you will begin to understand and experience the true and life transforming power of forgiveness in your physical outcomes and will have discovered the ability to allow unrestricted and positive creative energy to continually flow in and through your life that is in harmony and alignment with all that you desire and deserve to experience. Although I understand to an extent that forgiveness can seem difficult for some at times, utilizing and implementing the power of forgiveness, regardless of the circumstances is well within your ability to implement if you make the "conscious" choice to do so. The power realized from doing so (or not) can mean the difference between a life of ease, harmony and overall wellbeing or a life of hardship, discord and illness. These outcomes whether "perceived" as "good" or "bad" don't happen as many "perceive" due to any form of wrath or judgment, but rather unfold due to a "perfectly constructed" and never changing process of creation based on "unconditional love" enabling us to experience life as we choose. A choice to forgive or not is a choice that we have been provided the inalienable right of free will to exercise. As has been expressed by many doctors, psychologists, scientists, clergy etc., at the core of the majority of illness and disease, there lies a deeply embedded issue of un-forgiveness, at either a conscious or unconscious level. I have heard many say that "My un-forgiveness is justified", and from a human perspective, although many may agree with them, I can assure you regardless of how justified you or anyone else may perceive it to be, a refusal to forgive, regardless of the situation will inevitably have an undesirable and "negative" effect on your outcomes in life whether physically, relationally, emotionally, and/or spiritually. It is a little known fact that when someone makes the choice to hold resentment or un-forgiveness against another, they are NOT hurting the person that they are holding the resentment against, but instead only hurting themselves. It has long been understood and proven that a prolonged state of un-forgiveness can have many negative side effects on the person that harbors and holds onto resentment and is proven to cause undesirable conditions, not only emotionally but physically as well. Although the most commonly thought of form of forgiveness is in forgiving others that you "perceive" have wronged you in some way, equally as important is developing the ability to forgive yourself for what you might "perceive" to be past mistakes that you have made, and which many "choose" to hold onto resulting in "feelings" of guilt. In order to be able to achieve a true state of forgiveness, it is also necessary to develop an understanding of your true nature of self. This self awareness allows you to see the true perfection of "the real you" at the depths of your inner most being and has the power to overwrite and replace the negative thoughts and emotions which empower you to release and shift the emotion of guilt, thereby changing the negative energies that may very well be keeping you from realizing your "birthright" to experience EVERY desire held and allowing unlimited Abundance and Happiness to flow into your life. Let's look at how and why a state of forgiveness as well as un-forgiveness has the ability to affect your external reality in a "physical" sense and plays an essential role in what you see manifest in your life. First of all, as you have discovered in the Law of Vibration , all things, both seen and unseen, broken down and analyzed in their most basic sub-atomic structures consist of pure energy, or vibration. These vibrations, which are determined by the specific formation or structure of these subatomic particles which make them up, resonate and broadcast a specific frequency or rate of vibration. As an example Love creates and emanates a much different vibrational frequency than does hate. Forgiveness resonates and emanates a much different vibrational frequency than Un-forgiveness. Regardless of the frequency or vibratory rate which results and is projected, based on YOUR individual choices, these vibrations or frequencies that you choose to experience are sent out into the universe at an unseen, spiritual or metaphysical level and attract and/or are attracted to energies of a similar or harmonious vibratory pattern or frequency. As we have discovered in the power of thoughts article , your thoughts, more specifically the emotions that those thoughts create also consist of, resonate and broadcast a specific vibratory frequency based on and determined by the kind and quality of the thought, and attracts into your life, without judgment, the events, conditions, and circumstances that you see manifest in your physical world every minute of every day. So What Does All This Have To Do With The Power Of Forgiveness? By failing to make a "conscious choice" to forgive yourself or someone else that may have wronged you in some way, you are actually creating and projecting a vibratory frequency through those thoughts of un-forgiveness and resentment that are being broadcast out, attracting to them harmonious vibratory patterns or frequencies which are, through the unwavering process of manifestation creating the events, conditions, and circumstances which form in your physical world, based on YOUR choices which determines what it is that you are sending out. In this case resentment and un-forgiveness. To take it a step further, if you are not only holding on to resentment or un-forgiveness toward another, but also "hoping or wishing" that some negative experience be inflicted on them, you are in reality asking and will receive the outcome of that desire in your own life in some form. How is that possible? Because the energy that you are creating and projecting is being internalized in you...by you...and as a result you will attract additional energies to you which support those outgoing thoughts. Just as a mirror can only reflect back at you an image based on what you choose to project or place in front of it, the Universe, God, 1st Cause only reflects back to you what you choose to project which determines the outcome or effect. Consider how it is that you tune into your favorite radio or TV station. The channel that you "choose" to tune into happens as the result of a personal choice to set the dial which creates a frequency that is projected outward and harmonizes with existing frequencies which results in the creation of the image or sound being received on the TV or radio enabling you to "experience" it. The process NEVER fails or wavers!! You can't expect to tune into channel 9 by choosing to place the dial on channel 4. To "experience" channel 9 you must choose to place the dial on channel 9. If you made a choice to plant an apple seed you certainly couldn't or wouldn't expect oranges to be produced from the original seed! No more than you would expect to receive a harvest of oranges by planting apple seeds, can you expect to receive pleasing and positive life outcomes based on planting and nurturing seeds of resentment and un-forgiveness. By planting seeds of un-forgiveness and resentment, it would go against and violate every physical, scientific and spiritual law if you were able to produce any result that is in opposition to the original seed that was planted. The principles that govern creation and the physical outcomes received as a result of each of these above examples are identical regardless if your choice is to develop this understanding of them based on the latest in scientific discoveries, through various spiritual teachings and writings, or through the simple observation of nature. The unwavering and inevitable end result is that you are going to receive back...in "physical form"...in relation to the seeds that you plant...receive an image based on the reflection that you choose to project...receive an outcome based on the energy that you choose to project...reap a harvest based on the kind and quality of "the seed" that you choose to plant. From a more human perspective, if you plant what you "perceive" to be "negative" seeds you will reap negative results. If you plant what you "perceive" to be "positive" seeds, you will reap positive results. Un-forgiveness Toward Yourself or Another Can NEVER Produce What Are "Perceived" As Positive Outcomes! All things that are happening in our entire universe, regardless of how good or bad you might perceive them from your individual human perspective, are actually happening at any given moment to assist the Universe, as a whole, in it's ultimate growth and sustainment of itself! You, being an integral part of the whole, (universal) means that all things, regardless of what they are and no matter how you perceive them, are also working for YOUR good! So how is it that undesirable events, conditions, and circumstances that you may experience as a result of un-forgiveness in life be good? From a common and traditionally established human physical understanding and perspective they're not, but at a deep spiritual level these "undesirable conditions" whether recognized or not, serve as a red flag or warning sign that you are not operating in harmonious resonance with what you claim that you desire, and as a result, the immutable, unwavering and perfectly constructed laws of nature, (Universal Laws) will provide you with all the physical proof needed to substantiate it. This understanding enables you to recognize and correct what is creating the challenge, whatever it might be, and either brings you back toward the path of "Higher Truth" or enables you to continue with the same experience until the intended message is learned. When recognized and in order to begin experiencing harmonious results, it is necessary to initiate the "inner change" required to realign or harmonize yourself with the "desired" outcomes in order to create and experience the harmony that you desire in your physical world. This is why The Power Of Forgiveness is so crucial to develop an awareness of and continuously implement in your life. When you fully recognize and allow this inescapable truth to be fully absorbed, and take the necessary action to surrender any animosity that you may hold toward yourself or another, you will have discovered the means to begin experiencing an incredible and overwhelming sense of inner peace, comfort and overall wellbeing that, absent this understanding, you have been unable to tap into and experience to this point. Through an increased understanding of the immutable and life transforming truth of this principle, you'll become empowered to make the necessary mental shift which can and will enable you to eliminate disharmony and discord in your physical world, enabling you to begin effortlessly attracting and experiencing your most cherished and heartfelt dreams and desires. Through properly, consistently and "consciously" implementing the power of forgiveness into your life, absent judgment and choosing to exercise an attitude of gratitude for "whatever" experiences you may encounter, you will begin to realize and personally experience your personal ability to purposefully and consciously attract and create your life by design rather than by default. There is no judgment or condemnation at the level of Source or 1st Cause, only a perfectly constructed system based on "Unconditional Love" which determines the process of creation...each and EVERY event, condition and circumstance in YOUR life with unwavering certainty and without fail based on the choices that YOU choose to make. The following ancient wisdom isn't based on law as many perceive, but serves as "profound" and life changing direction that IF consciously and consistently "applied" can and will change the entire course of your life. "Judge not and you will not be judged"
Unconditional Love and forgiveness is the essence of our Source, (Creator) whatever you may perceive that to be. By developing the ability to forgive and eliminate judgment unconditionally you will have made tremendous and powerful progress in your ability to begin experiencing a life of ease, harmony and overall well being physically, financially, relationally, emotionally and spiritually. If you seem to struggle with the ability to forgive yourself or others, it is most certainly effecting your outcomes in life and hopefully you now have a deeper understanding as to why and how. Developing a keen awareness of the importance of The Power Of Forgiveness in your life, combined with the deeper understanding and correct implementation of that knowledge with focused intent, will enable you to begin experiencing what you may have previously perceived as "miracles" to occur. While it's impossible within a single webpage to address every aspect of The Power Of Forgiveness you would be well served to delve more deeply into expanding your awareness regarding it's importance. If you're like countless thousands of others, you may find The 7 Hidden Keys To Conscious Creation to be a very enlightening, empowering and transformational approach for becoming keenly aware of the power we each have been freely provided to begin "consciously creating" whatever you desire in life. 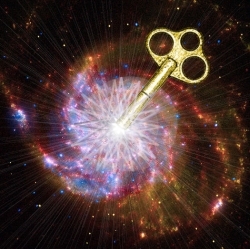 The 7 Hidden Keys To Conscious Creation reveals in a simple yet profound kind of way, what so many overlook with regard to themselves and provides an extremely powerful and transformational understanding for moving forward and "allowing" life to be all that it can and was intended to be. By developing a deep and correct understanding of the power you hold to create your life by design, it will become quite natural to consistently implement the Power of Forgiveness into your life, which, may very well prove to be the missing link and enable you to begin attracting and experiencing a kind and quality life that extends well beyond what you currently "perceive" as being possible for you. Only you can choose to utilize The Power Of Forgiveness in your life or not. If you hold onto any unforgiveness issues it is most certainly effecting your outcomes. Whether or not you may currently realize or believe it, you were intended to experience all the amazing and "good things" that life has to offer. The Power Of Forgiveness can help you achieve it. Whatever choices you choose to make both today and in the future, it is our sincere and heartfelt hope for you that those choices lead you to a life filled with Love, Joy, Harmony, Fulfillment, Profound Inner Peace and Limitless Prosperity. Each of the resources recommended in the Power Of Forgiveness article and throughout Abundance-and-Happiness.com has been personally tested and approved by the founder as a credible and effective means of accomplishing it's intended purpose. Any and all guarantees are handled through the company that provides the resource.